Recently there has been an increase in the popularity of the discount supermarkets such as Aldi and Lidl, with the upmarket supermarket Waitrose being leapfrogged by Aldi to become Britain’s 6th largest supermarket. So this clearly shows that the way we now shop for food in the UK is changing, we seem to really be embracing the discount stores. Having said that, I know that it will be nearly impossible to be totally fair and buy exactly half of what I need in each store. I think that there is inevitably going to be a favorite shop that I do most of my shopping in, and then I will pick up the odd bits from the other. But which one will I spend the majority of my money in? I have been shopping at my local Aldi for about 8 years now and personally I think that it just keeps getting better! The products that Aldi sells are usually a great hit in our house. The boys love their yummy biscuits, cakes and sweets, and I love their prices! I am always pleasantly surprised at the prices in this shop. You can pick up the majority of items that are on your shopping list for a fraction of the cost in Aldi compared to other shops like Sainsbury’s. I always like to check out what ‘Special Buys’ they have on offer each week. There always seems to be something that catches my eye, whether it is something for the house or the boys, the prices and products are always great. For instance, some of my best tea towels are from Aldi, they have a wonderful woodland theme to them and they cost just £2.49 for 3! Now comparing that to Sainsbury’s price of £6 for 3, you can see why I think that it is such a good deal. The boys are always finding things that they like in Aldi too. Whether it is some new books or stationary sets, cosy character pajamas or a toy, Aldi always seems to have a great bargain on offer. I also really like some of their cleaning products. I’ll admit that I haven’t tried them all but so far I really like their Ultra kitchen roll, it is by far the best kitchen roll that I have bought. I know that this seems like a really silly thing to rate but I use a lot of kitchen roll, and I hate nothing more than thin useless sheets that last 2 seconds. Aldi’s Ultra kitchen roll however is far better than any of the main brands that I have used. It costs 95p for 2 rolls and they last a long time. I also like their antibacterial floor wipes. I use these on both my kitchen and bathroom floors and they are great. The sheets are large and strong and the apple scent is lovely. They leave your room sparkling and smelling gorgeous! So overall I think that it is a great store, but what about Lidl? I won’t lie to you, I do like shopping in a brand spanking new shop! Everything is so perfect and clean and new (I especially notice this when I use the trolleys as they drive so smoothly) that it does make the experience very nice. The first thing that hits you when you walk into the store is the amazing smell of the bakery, everything that I have tasted so far is delicious, from blueberry muffins, doughnuts and cinnamon rolls to warm tiger loafs. The store itself isn’t massive, well not in comparison to my local Asda and Sainsbury’s, but it feels very spacious. The aisles are wide and the products are easily accessible. So moving around the store is pretty much a stress free experience. There is a variety of products that Lidl sell. Some items are brands that we know and trust, others I assume are German brands. So far I have been happy with the new brands, but I must admit that I haven’t got round to trying out loads of these products. I think that I am too drawn in by the brands that I already know. My aim is to try out all of their products so that I know exactly what we like and don’t like, and hopefully find a few real gems in the process! Their prices are good, but not quite as good as Aldi. This can be forgiven though when I am able to buy products like Heinz, Weetabix, Nestle, Walkers and so on at a much cheaper price than the mainstream supermarkets. They also do some really good limited time offers. At the moment they have Men’s and Women’s hiking gear, DIY tools and children’s waterproof clothing. Now, as much as I love Aldi, I don’t like to buy my meat from there. I’ll admit that it has been a while since I last tried their meat, but this is because our previous experience was that we didn’t feel that items like their chicken and bacon tasted very nice, so we continued to buy those from Sainsbury’s. In comparison, last week we tried Lidl chicken for the first time and we were all really shocked at how nice it was. So maybe this will be one of the areas where I decide to shop at Lidl over Aldi? Aldi’s fruit and veg are very cheap, but I do sometimes think that they are bordering on the over ripe. Because of this I do try and be selective with the fruit and veg that I buy from Aldi. So far, Lidl’s fresh produce has been really nice. I think that their plum tomatoes and grapefruits have been the biggest hits with our boys. So again this might be another area where I choose Lidl over Aldi. Which of the two discounters do you prefer? 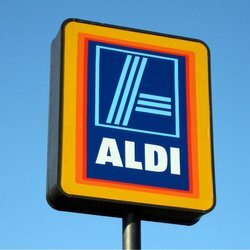 Aldi or Lidl? Could the Big Supermarkets Win You Back? Lidl is my favourite store. I can’t see saindurys or any ov the main supermarkets catching up as they are fat too expensive. Thank you so much for this article, I was just doing some research on which was best and this was so useful. Thanks again! Lidl is just constructing stores iN Augusta, Ga USA among their first in the US, Aldi has been in this market since 2009. It will be interesting to see how this rivalry develops in this market. Thanks so much for your take on both stores. I live in the US where Aldis has been around for a few yrs now but many more have popped up in the last yr. We are now about to experience Lidls soon. The 1st of its kind in our area should be opening in a few month. The two, like yours are very close to one another. I love Aldis for the exact same reasons you described. So far the meats here have been fantastic since (I believe) are locally sourced. I can’t wait to experience Lidls. Thanks so much for the comparison. It has given me a good idea of how Lidls will be. Take care!! I usually shop at Lidl, the stores 9n Driffield and Scarborough are really upmarket in their appearance. Fruit and veg are way better quality than Aldi and the wine selection is very good. Aldi in Bridlington and Scarborough are messy with narrow isles. The checkout assistant had a headset on having a laugh with another store member rather than putting the customers experience first. Rubbish overall Aldi, not a good shopping experience. Raleigh, North Carolina, USA here! We are getting a new Lidl this weekend. Like you, I shop at Aldi first, and then on to Kroger, a mid-range supermarket. Kroger has the brand names when only a brand name will do. I appreciate your comparison! ~ I love that you call the shopping cart a trolley!! I call it a basket. Winston-Salem, North Carolina, USA here. Our first Lidl opened yesterday. I haven’t been there yet but looking forward to going. We have SO many grocery stores now that the competition is unreal – Harris Teeter, Food Lion, Lowes, Publix, Fresh Market, Whole Foods, Trader Joe’s, all within a 2-mile radius. I personally get most of my shopping done at Trader Joe’s. There is an Aldi store across from my office, but I haven’t had much luck there. Maybe I need to give it another try. There are Walmart Neighborhood stores popping up everywhere as well, so I usually get most of the shopping done at Trader, and everything else at Walmart. The staff at Lidl’s are way more friendlier and helpfully than most supermarkets I’ve been in. I love Lidl. 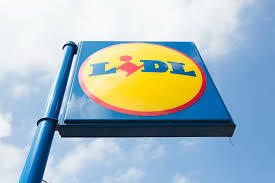 Many of their brand names are Lidl own brand. Just read the label. Great for fresh fruit and veg, Greek style yogurt, jams, cleaning stuff. Friendly, hard working multi tasking staff.